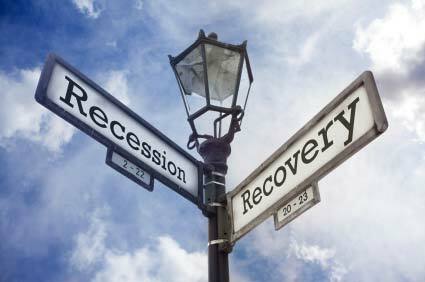 Britain avoids a triple dip recession - What Does This Mean for Payday Loan Lenders? While it was recently announced that Britain has managed to avoid a triple dip recession, this doesn’t mean that the UK’s economic problems are over; far from it, as the country continues to suffer from inflation, cuts to benefits, mass unemployment, and the difficulty of getting credit. What this means for payday loan lenders is that there is still a demand for short term and emergency loans, albeit with the assumption that borrowers will be more selective about which provider they go for in a market where tougher regulations are being imposed to stop the worst offenses of some lenders. In terms of avoiding a triple dip recession, Britain’s GDP rose slightly to 0.3 per cent, not much, but enough to offer some reassurances to the Government that they weren’t about to enter an even worse period of economic crisis. GDP has slightly risen up and down since the 2008 financial crisis, but without significant change as the Conservative and Liberal Democrat coalition pursue austerity measures that are targeting less borrowing and more investment by the private sector in the UK economy alongside tax cuts and breaks. Payday lending has been one of the most controversial subjects during the recession, with recent surveys by debt helplines indicating that there has been a 94 per cent year on year rise in calls complaining about it. However, payday loans are one of the somewhat unavoidable consequences of a system where staying out of debt is very difficult for the majority of people unable to cover basic costs. Cuts to benefits, and inflation tracking above the national minimum wage means that it’s harder for borrowers to look for alternative loans. What is changing, though, is a regulatory push to place more caps on fees and APR, and increasing pressure from the Office of Fair Trading on payday lenders that don’t provide the right level of transparency to its customers. Payday lending, when properly licensed and advertised, needn’t not be a recipe for disaster, and the market is growing up to the fact that customers will look for the best companies to avoid hidden fees and problems - the OFT have recently shut down some of the worst offenders for unlawful payday lending, which include MCO Capital and B2B International UK. The underlying factors driving people towards payday loans are clear, though - a lack of available credit, and difficulties in meeting the costs of living - despite a 12p rise in the national minimum wage to £6.31 from October 2013, most people are still struggling to meet emergency payments, and are prepared to take a calculated risk on their payday loans and other forms of financing to avoid disaster. It is possible, though, for payday lenders and their customers to follow responsible practices; changes to advertising and websites that are as clear as possible about what a loan involves, and better eligibility tests can all help to make it easier to avoid people signing up for deals that they don’t completely understand. Finding a payday lender with a Consumer Credit License is consequently essential for all customers. For the future, the UK economy is unlikely to recover any time soon - borrowers can look forward to more money being invested in mortgage schemes like Funding for Lending, as well as pressure on banks to offer better interest rates, and more regulation on credit card companies. Payday loans will also be made safer in the next year, in terms of protecting more responsible lenders and customers, by the switch in regulatory authority from the OFT to the Financial Conduct Authority from 2014, which should introduce even more defined rules on responsible lending and borrowing.